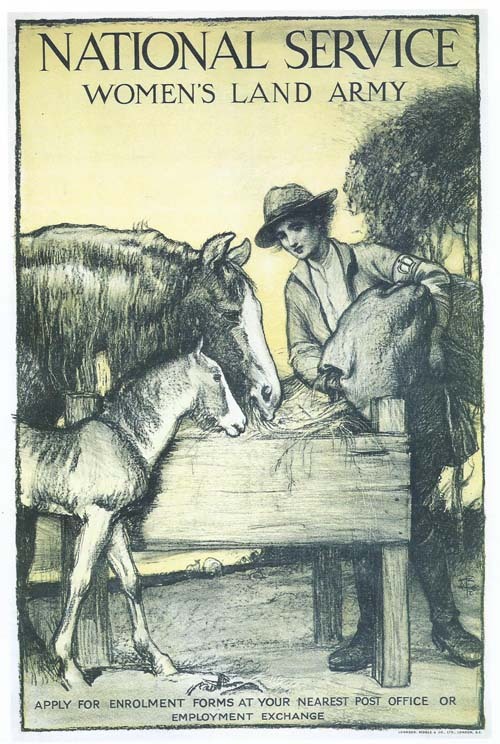 This Women’s Land Army recruitment poster by the artist J Walter West, emphasises the work done by the Forage Department of the WLA. The majority who worked in agriculture were milkers and field workers, but some were carters and ploughwomen (working with horses) and market gardeners. The main aim was to increase food production during the war. Please use the navigation bar on the left hand side to find out more about the different aspects of the First World War Women’s Land Army.